There have been articles written about removing the names of certain historical figures from various public facilities. I’m speaking of significant figures from the American Civil War who fought for the Confederacy against the Union. To some these were traitors. To others, they were historical figures in spite of their allegiance. First and foremost (on the least popular side) might be Nathan Bedford Forrest, who (depending upon which historian you follow) started the Ku Klux Klan, or didn’t start the Ku Klux Klan. The Klan was a “social club” that had a little problem with beating, lynching, burning buildings and people who were not white, or were Jewish, or Catholic, or anything except proper Southern men. On the more popular side, you would find Robert E. Lee, who declined command of the Union Army because he refused to fight against his native Virginia. He married a lady whose lineage went to George Washington’s stepson. He was very dynamic when defending Virginia; much less assertive when venturing into the North. The logical argument is that these were traitors who fought against the United States, so therefore, they should not be honored. I can understand that argument, but it is not complete. They are also part of our history – just like Dred Scott. We are humans. 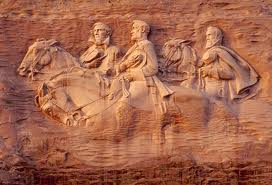 Washington, Jefferson, Lee and Grant were humans. John Adams was as wonderful and as imperfect as they come. As imperfect (and that term is extremely charitable) beings, we fail and we fall. If we’re strong, or stubborn, or wise, we pick ourselves up again and try to do better. 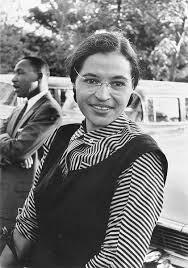 Fortunately these failings eventually succumbed to heroes like Rosa Parks or Medger Evers or Dr. Martin Luther King. As Americans, they’re all part of the story. It’s not an easy story, but it’s a good one. Working together, it should be agreat one. 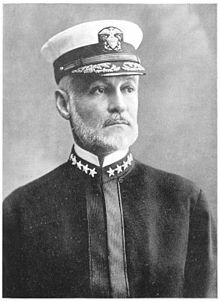 “America’s Greatest Flag Officer” by Chuck Steele which appears in the June 2013 issue of Naval History magazine, is fascinating. When most people thing of World War I they immediately think of John “Black Jack” Pershing. Pershing’s success and reputation is no accident; he chose assignments based on how well they would benefit his future success. While stationed at Fort Russell in Wyoming, he married Frances Warren the daughter of the most powerful politician in the state (also named Francis). Pershing used his political clout with Teddy Roosevelt to be promoted from captain directly to brigadier general, skipping over 3 ranks and 860 senior officers. He achieved the highest rank ever awarded – “U.S. General of the Armies” equivalent to a six-star general. It was such a unique honor that Congress in 1976 posthumously promoted George Washington out of courtesy. In the meantime, William S. Sims career was unfolding in somewhat a similar manner. The difference was that he tended to seek assignments that would better the ability of the Navy, taking chances that could have hurt his career but were nevertheless the right thing to do. He accepted assignments that exposed him to the British, French and Russian Navies, and when he realized that the US Navy was not an equal, he pressed against the bureaucracy for years to bring about improvements. It’s testimony to his ability that he was able to take on the establishment and still be promoted. American entry into the world war was critical to its outcome, and it ended a year and a half later. During that time, Sims was a most effective officer, while Pershing managed to infuriate his French counterpart. Today, history remembers Pershing and has all but forgotten Sims. However, Sims made his choices based on what was best for the Navy, and did not seek glory, so I think he’d be fine with that.